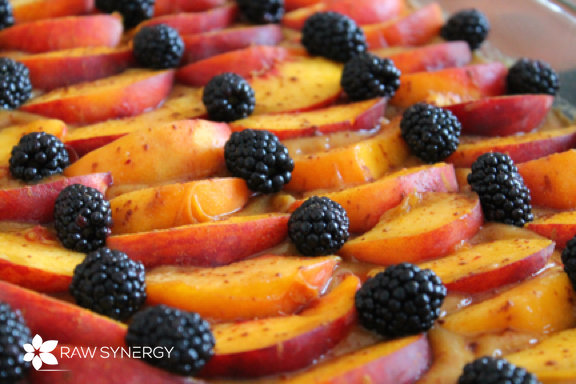 Decadent Peach Dessert – Nut & Fat Free! A simple yet decadent fat free, raw vegan summer dessert that will melt in your mouth and taste like peach heaven! It’s also properly combined so it will digest with ease. A single medium serving for one, OR it can be shared as two small servings.